And congratulations on everything, especially keeping true to your budget. Totally inspiring! The first thing I ever embroidered was a dish towel and it turned out beautifully. She simply cut out some fabric and glued it on! Good luck (and send me pics of the results!). 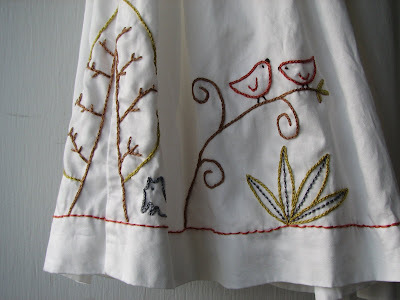 @Sara - I would not say embroidery is so easy, in fact i would say it is a skill that takes many years to master. I embroider workwear for a living and everyday i come across problems digitizing etc.